In case you haven’t come across any of my shameless self-promoting tweets and posts, I’ve started writing for a site called Expat Living Hong Kong, sister site to Expat Living Singapore. You can read my first post here. The super coolio thing is I’m getting paid. Crazy, I know! Without mentioning any names, I’ve done the whole ‘write for exposure’ thing and found that I got about as much exposure as a mainland woman wearing a face-kini. Don’t get me wrong, I’m not ungrateful for the experience but after 5+ years of rockmom writing I’m ready for the big leagues. Or at least a decent AAA team in a mid-sized market. The other nice thing, aside from the do$h, is that I’ll be writing about the same range of topics I’ve covered here at rockmom: raising kids, living in Hong Kong, raising kids in Hong Kong (a very special kind of pressure cooker). Expat Living might not want my post about the latest Father John Misty album – dammit! – but I’ll learn to live with that. In fact I’ll continue to post here, and not just about the oh-so-fabulous work I’m doing elsewhere. Fear not, this site isn’t going to turn in to some platform-building, writer’s promo machine, even if I knew how to do that! Many moons ago, I started this blog to write about music but then it kind of morphed in to a place where I can clear my head of inane theories about parenting and education and why the next generation has been unable to produce a David Lee Roth. But what’s been most gratifying is realizing there are other people out there (and not just my sister) who worry as much as I do about the pressure on children in today’s world AND the future of One Direction! Have a wonderful summer – try the beach! See you in August! 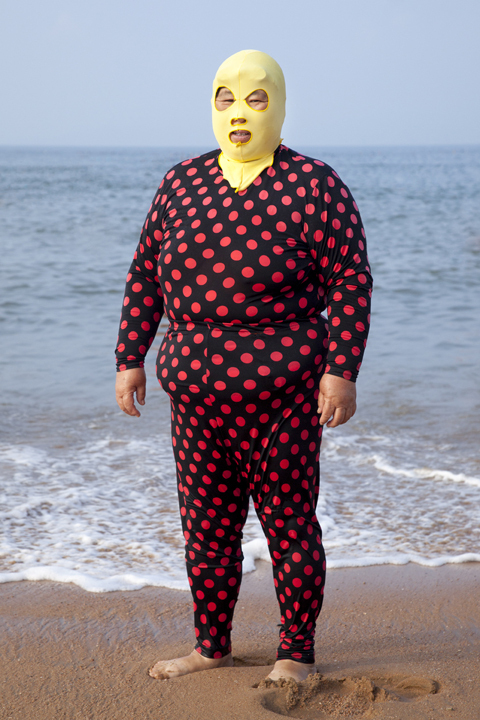 All photos courtesy of the fantastic photographer, Philipp Engelhorn, from his series Qingdao Beach No 1. CONGRATS!! This is TERRIFIC news!! Especially the part about getting PAID!!!! YA HOO!! You deserve it and I will continue to read your work as I can. Not sure what Expat Living Hong Kong is or where I can find it… I was just at the WIS PTA to pick up Zach’s HUMONGOUS order for Y7 — damn, that bag was HEAVY with just the stationary items — all those darn books to WRITE IN… never mind the fact that there were NO TEXT BOOKS, yet…. Holy cow! While at the PTA chatting with Debbie, I saw and picked up a copy of ExpatParent (The Hong Kong Edition) as I thought that might be the same, but not. I am sure I have seen Expat Living in town somewhere. She said that ExpatParent is new. And YES ! David Lee Roth! Where is the *next* one???? He was one crazy singer and dancer — my mother LOVED him! Hi Kathleen! Thanks for the support, really appreciate it.